Ancient Roman emperors were masters of mass communication and visual propaganda. They carefully controlled the way in which they were represented in sculptures, paintings and on coins, and their faces could be seen, carved in stone or minted in gold, throughout the Roman world. 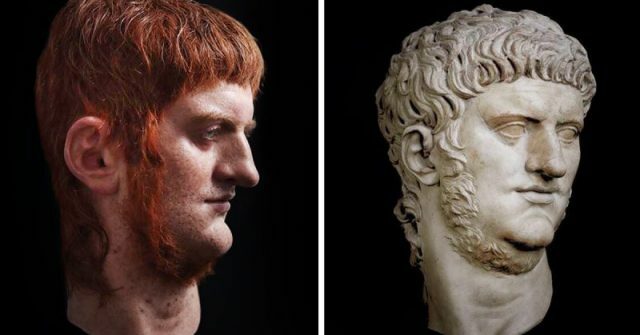 When we look at these ancient faces in marble sculptures, paintings, or coins, we are seeing an idealized representation of the Roman emperors, devoid of imperfection. These portraits are not necessarily designed to be realistic, but instead to glorify the memory of the emperor — emphasizing his individual characteristics, but portraying him as powerful, majestic, and even god-like. 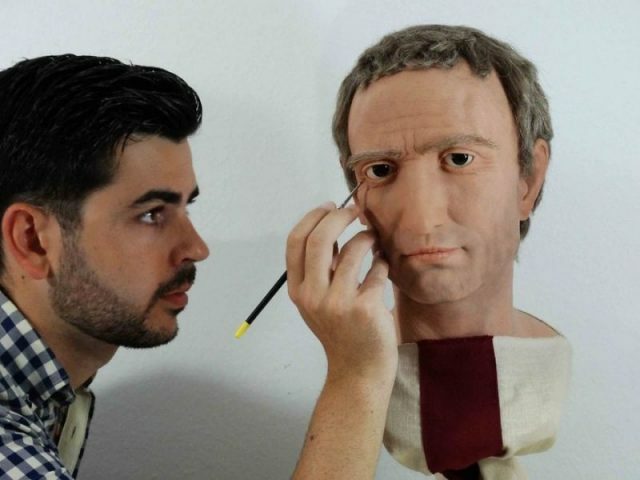 However, one talented Spanish artist aims to deconstruct this idealized image by re-creating sculptures of famous Roman emperors in a hyper-realistic style. The Césares de Roma project aims to bring the past to life with visceral realism, creating life-like versions of classical Roman sculptures. This is a brand-new reimagining of some of the most famous faces in Roman history. According to the project website, Césares de Roma focuses on three of ancient Rome’s most notorious figures: Julius Caesar, Augustus, and Nero. 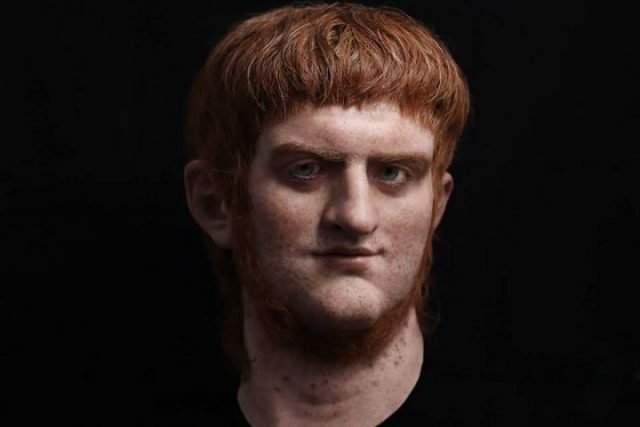 The sculptures are carefully produced using silicone casts, and then the features are painstakingly applied using paints and real human hair. Each hair is sewn into the face and head and then trimmed, creating an incredibly realistic effect. 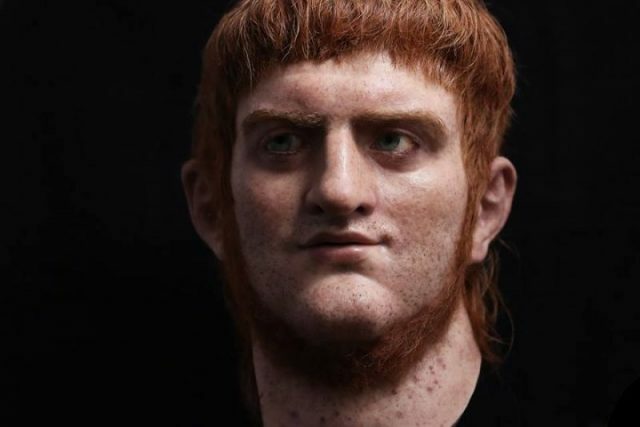 In taking this hyper-realistic approach the Roman emperors cease to be idealized visions of Roman power, omnipotence and authority, and immediately appear more human and recognizable. The sculpture of Julius Caesar, for example, shows a middle-aged man with bushy grey eyebrows and a receding hairline. His brow is slightly furrowed, and his intense stare gives the impression of a focused, single-minded ruler and a seasoned warrior. 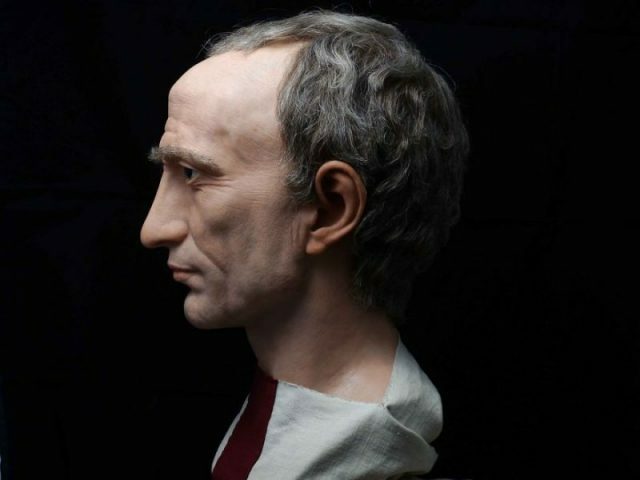 The character evoked by the sculpture perfectly captures modern ideas about the character of Julius Caesar himself. He was an ambitious military general who was responsible for the conquest of Gaul before he installed himself as dictator in Rome. His assassination at the hands of his senators has gone down in history and literature as an iconic moment in Roman history, catalyzing the transition from Republic to Empire in the 1st century BC. 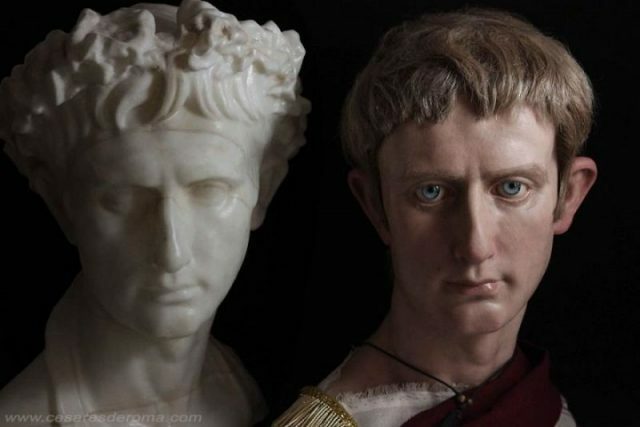 The second sculpture in the series depicts Octavian, heir of Julius Caesar, and Rome’s first emperor, who ruled under the name Caesar Augustus. After the turbulent wars and internal strife that characterized Roman history in the 1st century BC, Augustus’ reign was viewed as a time of relative peace and harmony, dubbed the Pax Romana. His administrative reforms set the agenda for Roman imperial rule, and he is widely regarded as an impressive, formidable leader. 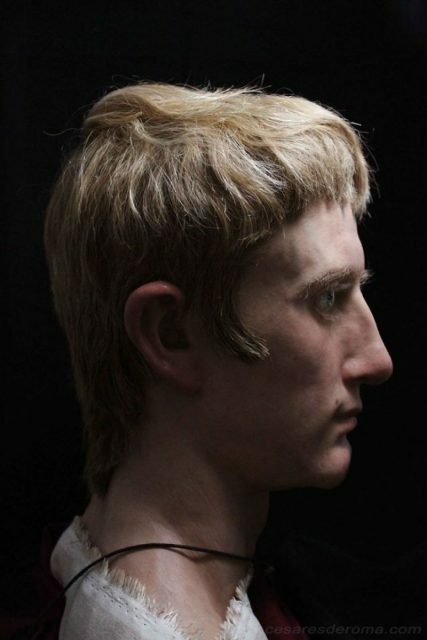 In the Césares de Roma project, Augustus is shown as a youthful, clean-shaven man. Yet this sculpture also evokes something of the cunning, pragmatic and tenacious leader that Augustus developed into. His bright blue eyes are piercing and convey the impression of a ruler with considerable political acumen, who will stop at nothing to get his way. The final sculpture in the series depicts the emperor Nero. Perhaps the most infamous Roman emperor, Nero is remembered for his lascivious habits, undignified behavior and tyrannical rule. 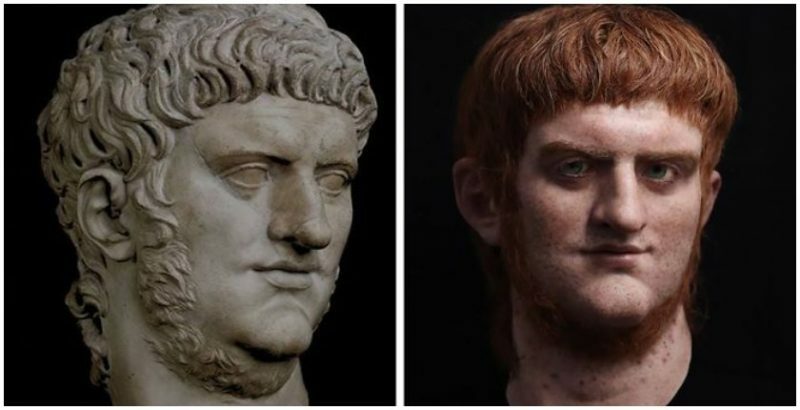 The Nero sculpture produced as part of the Césares de Roma project is perhaps the most striking, showing Nero with a mop of ginger hair and a wispy beard, and an intense, cunning expression. 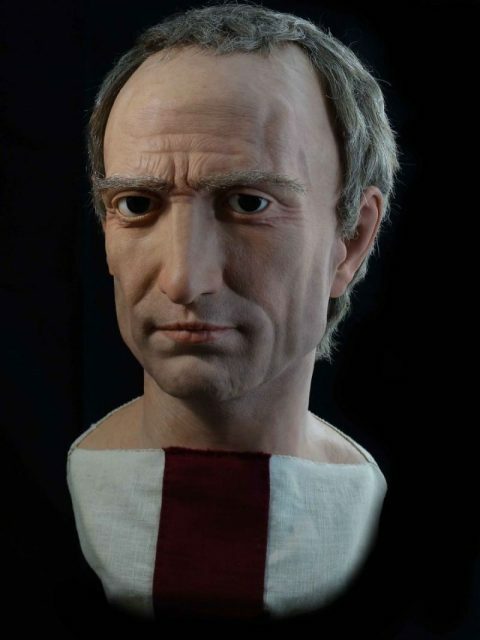 These evocative portraits successfully bring the characters of these long-dead rulers to life, and represent a stark contrast to the glorious, god-like individuals seen in official Roman sculptures and coins. 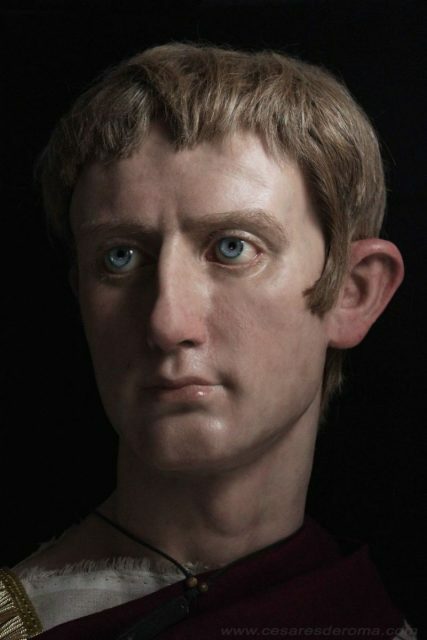 Although they are inspired by classical sculptures and use information from ancient sources about the physical appearance of the emperors (for example, eye and hair color), the artists do not claim to have created a historically “accurate” image of each subject. The aim is to promote an alternative form of learning, where realistic sculpture creates a visceral, empathetic connection between the viewer and the past. This is a re-imagining of the Roman past through modern eyes. With several more imperial figures in the pipeline, including Caligula and Trajan, the artist of this impressive project hopes to chart the story of the Roman Empire in a novel and exciting way, and share his passion and fascination for Roman history.